Virginia Mason pathologists provide expert interpretation of breast biopsies, lumpectomies and mastectomy specimens. Timothy Jacobs, MD, leads this subspecialty and assures the provision of accurate and cutting edge diagnoses. We work closely with our clinical colleagues in surgery and radiology, participate at tumor boards and collaborate with Virginia Mason's breast cancer team. Breast cancers are tested for prognostic and therapeutic markers to allow the oncologist to treat the patient with the most precise anti-tumor medications. Virginia Mason's cytopathology team features multiple pathologists with subspecialty certification in cytopathology, including: S. Nicholas Agoff, MD, Dr. Jacobs and Semra Olgac, MD. We provide diagnoses on fine needle aspiration (FNA) specimens of all body sites including pancreas, liver and lung, as well as body fluid specimens. We also interpret specimens obtained by endoscopic ultrasound (EUS) and endoscopic bronchoscopic ultrasound (EBUS). All gynecologic cytology specimens are prepared on SurePath slides and interpreted by board certified cytopathologists. HPV DNA molecular studies are available and are performed on appropriate specimens. Our board certified dermatopathologists include C. Clay Danenhower, MD, Donald G. Guinee, MD, and Steven Ruhoy, MD. 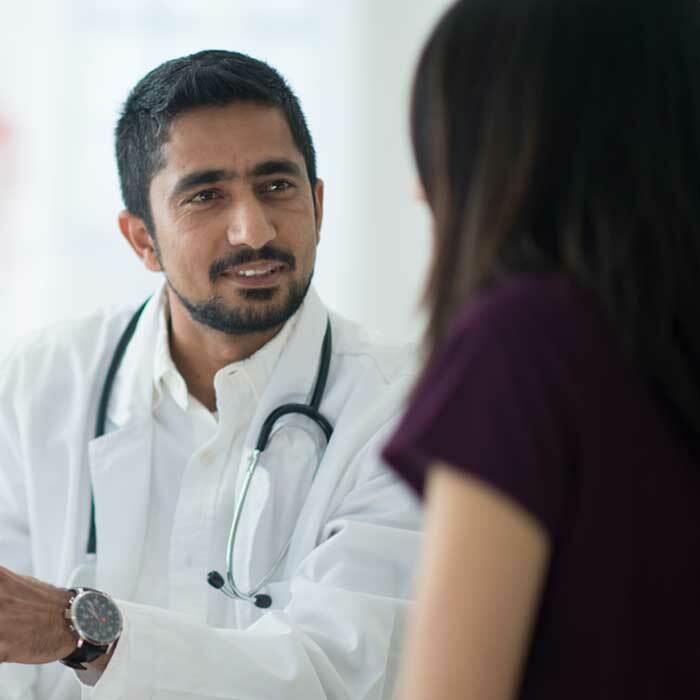 We work closely with the Dermatology Department and the Melanoma Program to provide accurate diagnosis of both inflammatory and neoplastic skin diseases such as eczema, psoriasis, skin carcinoma and melanoma. We utilize modern diagnostic techniques, including molecular testing, when necessary and offer direct immunofluorescence studies in the diagnosis of blistering skin disease. The gastrointestinal pathology service offers diagnostic expertise and interpretation of inflammatory and neoplastic conditions of the gastrointestinal tract, pancreas and the liver including: gastritis, colitis, inflammatory bowel disease, pancreatitis, hepatitis and biliary disorders, as well as gastric, esophageal, colon, pancreatic and liver cancer. Russell Dorer, MD, PhD, and Hejin Hahn MD, PhD, both fellowship-trained gastrointestinal and liver pathologists, lead this area and work closely with their clinical colleagues in the Digestive Disease Institute to coordinate patient care, provide patient specific diagnoses and ensure optimal treatment of every patient. The genitourinary pathology service provides interpretation of prostate, urinary bladder, testicular, and kidney neoplasms and malignancies. Dr. Olgac leads this team and collaborates closely with Virginia Mason's Urology Department including participation in the prostate and urologic tumor boards. New diagnostic techniques are used to enable the urologist and oncologist to tailor treatment for each patient. 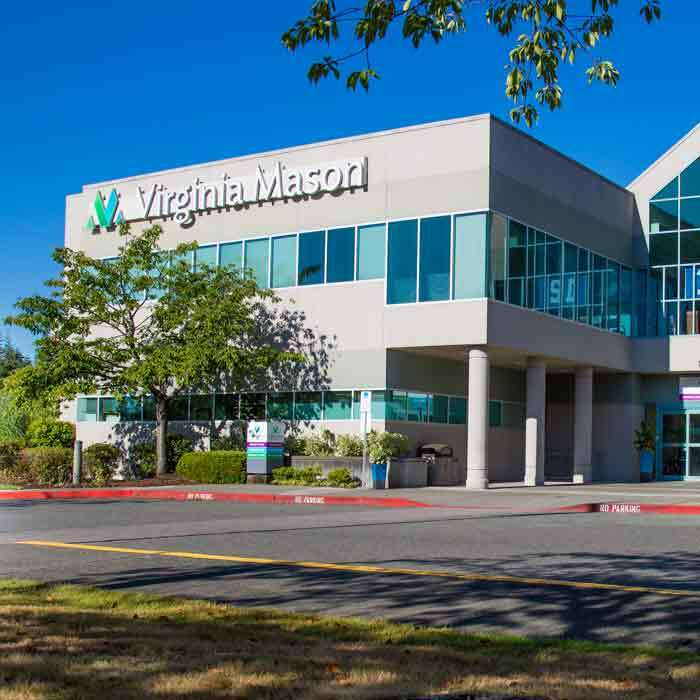 Virginia Mason's gynecologic pathology specialists work closely with Virginia Mason's Gynecology Department to offer diagnostic interpretation of specimens from the cervix, uterus and ovary, including benign and malignant tumors. These specialists provide cutting edge HPV testing for difficult cervical lesions and correlate all cervical biopsies with patient PAP smear results. Dr. Agoff leads this team and assures accurate diagnoses for their colleagues in the Gynecologic Cancer Department. Adel M. Assaad, MD leads this team and is an expert on the diagnosis of inflammatory and neoplastic conditions of the head and neck, including oral and nasal conditions, as well as cancer of the thyroid and salivary glands. The team works closely with the Ear, Nose and Throat Department and participates in thyroid and head and neck tumor boards. Dr. Dorer is board certified in hematopathology and interprets bone marrow biopsies in the diagnosis of lymphoma and leukemia. The hematopathology specialists also provide flow cytometric studies, cytogenetics and molecular diagnostic studies for treatment and prognostication of hematologic malignancies. We work closely with Virginia Mason's Hematology Department to provide each patient with the finest oncologic care. Virginia Mason pathologists evaluate lung biopsies and resections to make diagnoses of both inflammatory and neoplastic pulmonary conditions including lung cancer. We provide up-to-date diagnoses and work closely with our clinical colleagues in Pulmonary Medicine Department, thoracic surgery and the Cancer Institute. We use the latest molecular studies, such as the assessment of EGFR mutations, to ensure that our patients with lung cancer can be treated with the most specific anti-tumor medications. This area is led by Dr. Guinee, who had previous fellowship training in Pulmonary Pathology at the National Institutes of Health and Armed Forces Institute of Pathology. The renal pathology team interprets native and transplant renal biopsies through a variety of modalities including histology, immunofluorescence and electron microscopy. Dr. Guinee leads this team and work closely with Virginia Mason nephrologists and Virginia Mason's Transplant Center, as well as outside nephrologists to arrive at the best diagnosis of renal glomerular and tubular disorders. There are a wide variety of testing disciplines within the clinical laboratory, including: hematology, chemistry, microbiology, serology, urinalysis, point-of-care and molecular biology. 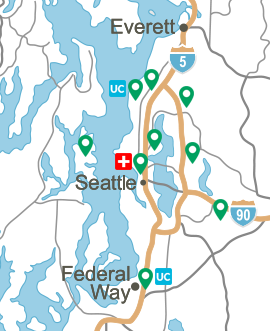 The laboratory is served by a centralized blood bank system, Puget Sound Blood Center, and has a small transfusion support service that works closely with our transfusion safety officer. Several Virginia Mason pathologists have dual board certification in anatomic and clinical pathology. Together, they provide medical expertise and technical oversight for the laboratory in conjunction with Punam Verma, PhD, Director of Microbiology. Interpretive reports are provided routinely by pathologists for serum protein electrophoresis, immunofixation, abnormal hematology slide review, body fluid examination, bronchoalveolar lavage evaluations and hypercoagulation studies. 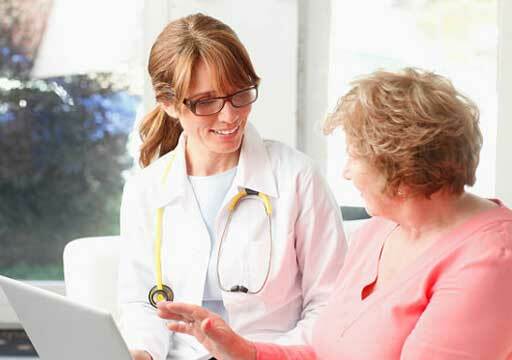 Physicians may request additional consultations in laboratory medicine.